The capital city of Indonesia, Jakarta, is a massive, cosmopolitan city that hosts snippets of all these eclectic tastes from around the country. 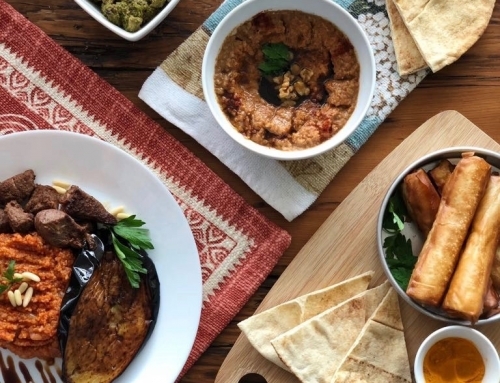 The food here bursts with intense flavors that can be found from secret local haunts called warungs to vendors grilling up spicy chicken satays, bowls of Indonesia’s most famous dish nasi goreng, and lesser known bowls of steaming hot Sop Buntut (Oxtail soup). The diversity in culture and cuisine across Indonesia can be attributed to the fact that the country consists of over 6000 islands with over 300 ethnic groups. 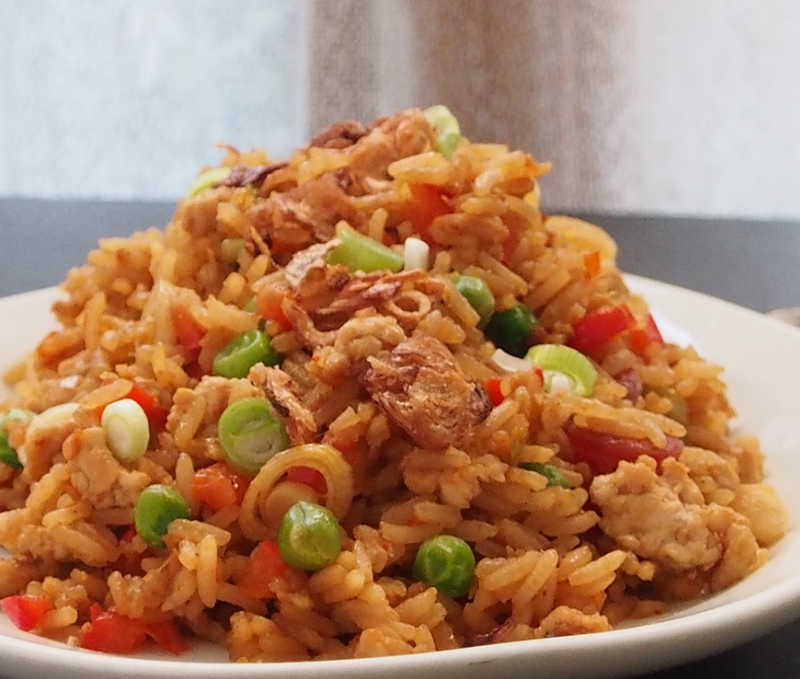 Nasi Goreng is probably the most famous Indonesian dish around the globe. 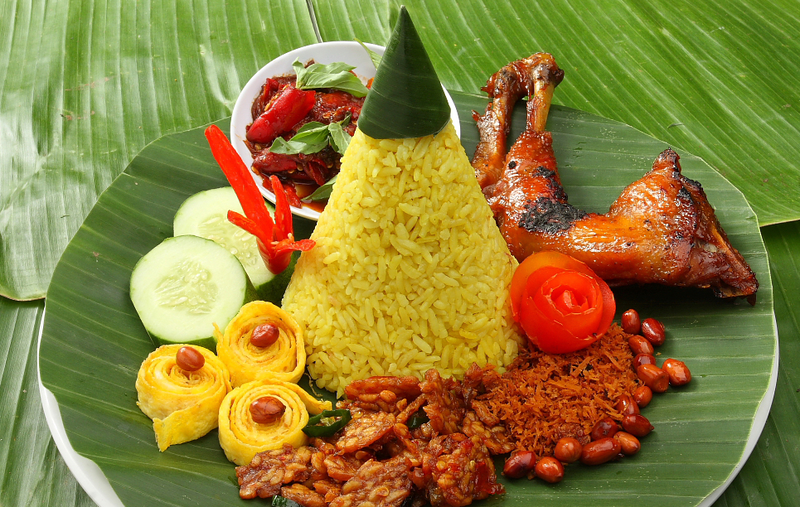 Nasi means rice in the national Bahasa language and the dish consists of a plate of stirred fried rice complemented with eggs, prawns (chicken, salted dried-fish, goat meat, chili and veggies). It is also popular in Malaysia, Singapore, and the Netherlands. It can be enjoyed in simple versions from a tin plate at a roadside food stall, eaten on porcelain in restaurants, or collected from the buffet tables of Jakarta dinner parties. 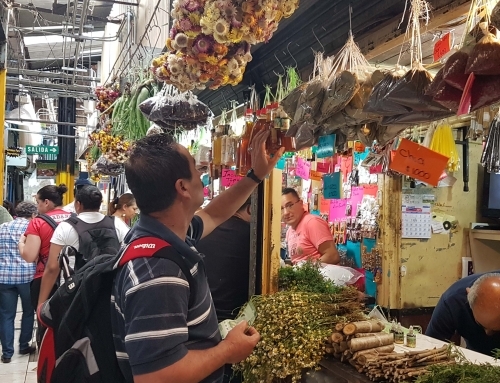 This famous skewered meat dish served with peanut or pineapple sauce originates from Java, and attracts passers to every street-side vendor with its aromatic, spicy, barbequed whiff. It can be made with chicken, beef, or mutton and is grilled over wood or charcoal, after boiling with various herbs and spices like galangal and turmeric. For the extra tenacious, offal or intestine satays can be tried with a variety of sauces. 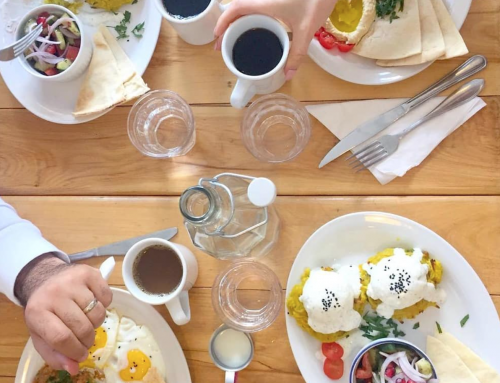 To try all the amazing dishes below and more, book this food tour in Jakarta! Soto is an Indonesian traditional soup mainly served in savory chicken broth seasoned with turmeric, hence its yellow color. Shredded chicken, eggs, vermicelli rice, and crispy fried shallots are added to it then, making it an equivalent to chicken soup. Soto is omnipresent in Indonesia, available in many warungs and open-air eateries on many street corners, to fine dining restaurants and luxurious hotels. 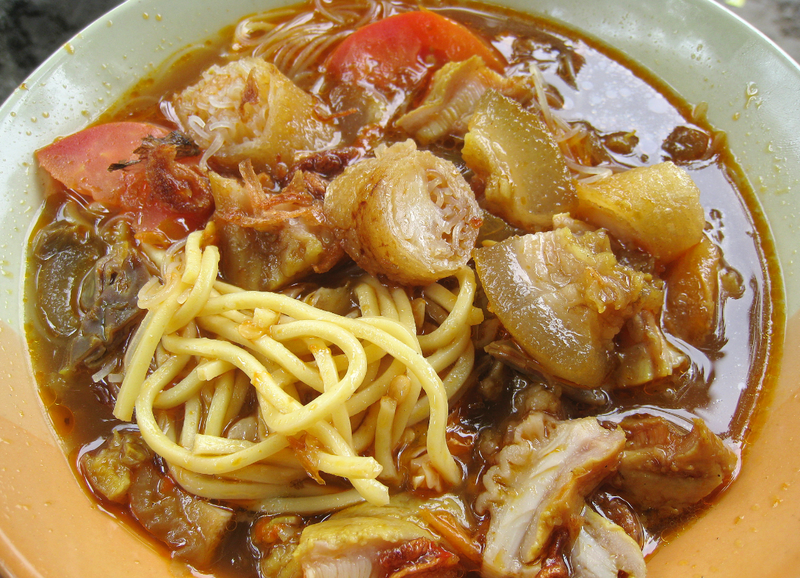 Although most prevalent in Java, Soto is omnipresent throughout Indonesia in variations such as Soto Kudusin in Central Java, Soto Betawi in Jakarta and Coto Makassar in Sulawesi. Two of the most popular Sotos in Jakarta are the Soto Mie Bogor (beef tendon/cartilage) and Soto Mie Betawi (beef offal with milk). Mie means noodles in Bahasa, it is a popular fried noodle dish that is served with garlic, onion or shallots, prawn, pork, beef, chicken or sliced bakso (meatballs), chilli, Chinese cabbage, tomatoes, eggs and other vegetables like Nasi Goreng. 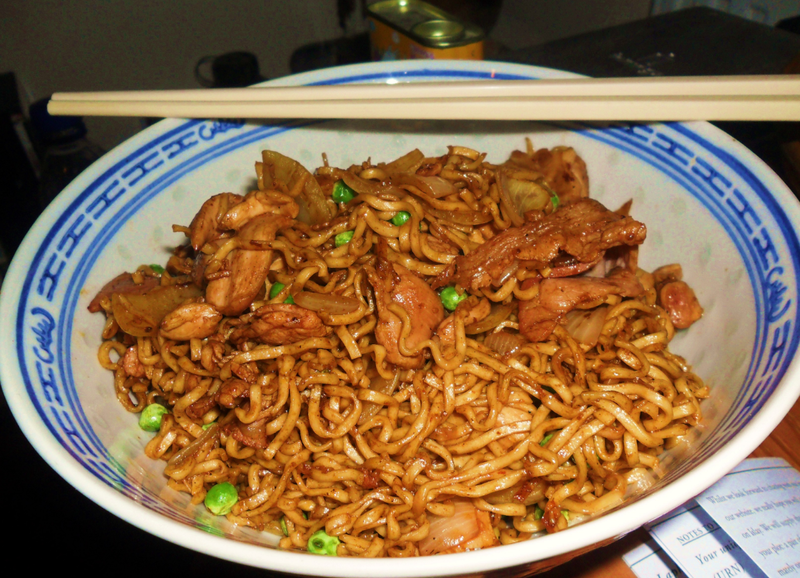 The dish is derived from Chinese chow mein and believed to have been introduced by Chinese immigrants in Indonesia, Malaysia, and Singapore. 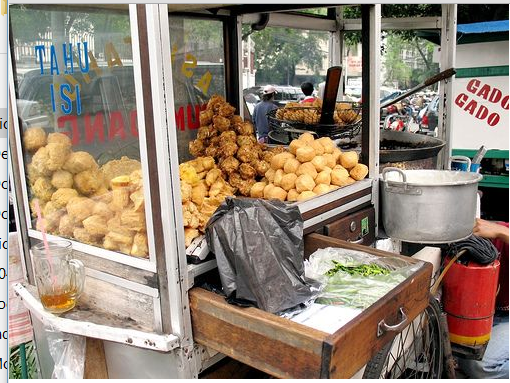 Ketoprak is a very popular street food in Jakarta but has also spread its influence in Java. 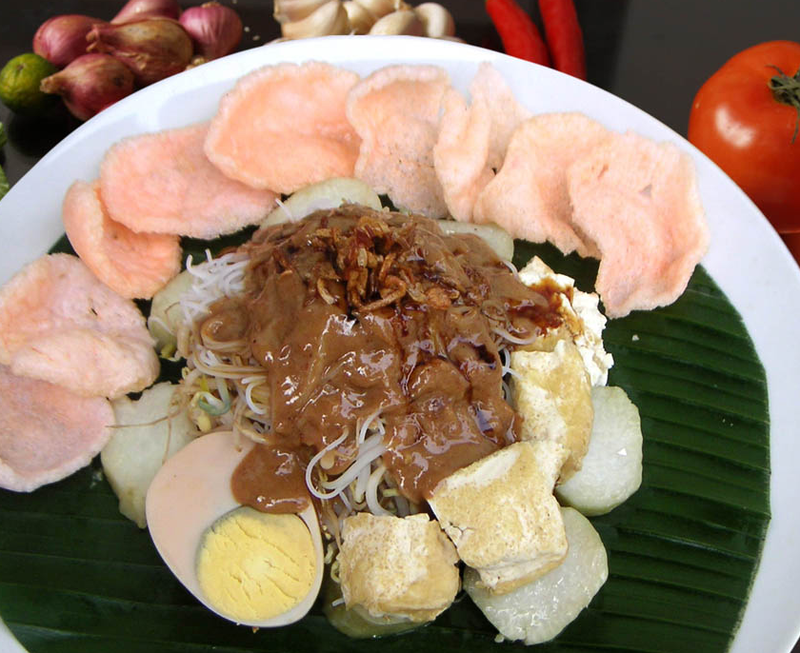 The primary ingredients are lontong or ketupat (compressed rice cakes), tofu, beehoon (vermicelli rice), boiled egg, bean sprouts and cabbage, doused in peanut sauce and topped with fried shallots. It cannot be missed without its complement of kerupuk (deep-fried flavored rice crackers). Rendang is a spicy meat dish like steak marinated in coconut milk that originated from Minangkabu in Western Sumatra, a region well known for its love for spice. It is often served at ceremonial occasions to honor guests. 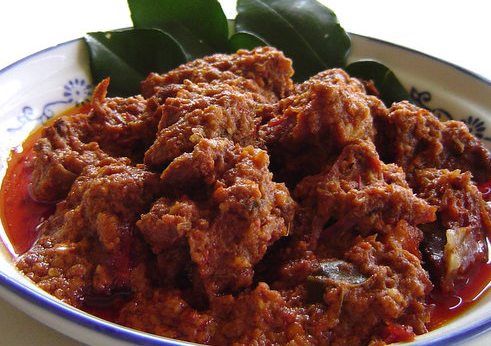 Traditionally the term rendang in Minangkabu language does not refer to a certain type of dish. The verb merendang actually refers to a cooking technique of slow cooking; continuously churning the ingredients in a pot or frying pan, on a small fire, until all of the liquids evaporate and the meat is well done. Gorengang literally means ‘fried things’, which is what this popular push cart geropak sells. Various foods such as yam, pineapple, tempeh, and tofu are deep fried and sold to local motorists stuck in the infamous Jakarta traffic jams and to passing tourists. 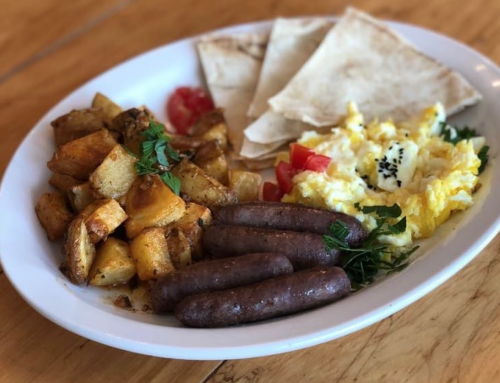 It’s your call if you decide to indulge as the oil is reused several times but it somehow seems to taste better with the conglomeration of flavors cooked in the same wok. This dish is a traditional spicy omelet made from ketan (glutinious rice fried) with duck’s egg and topped with serundeng (shredded coconut), fried shallots, and ebi (dried salted shrimp). Duck egg is a delicacy and considered more flavorful than chicken eggs. It is a traditional Betawi snack and is very prominent at the annual Jakarta fair. During Colonial times, the dish was a food that symbolized wealth and status and was served at big parties for rich Betawi or government officials. 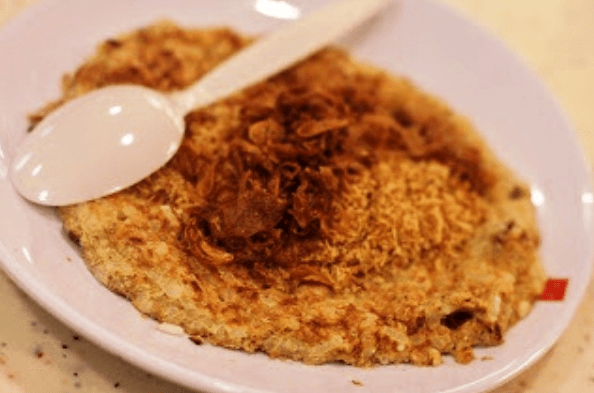 According to gastronomy expert Suryatini N. Ganie, kerak telor was created in order to make glutinous rice more tasty and satisfying. While Soto is a more traditional Indonesian soup, soups with colonial Western influences are called Sops. 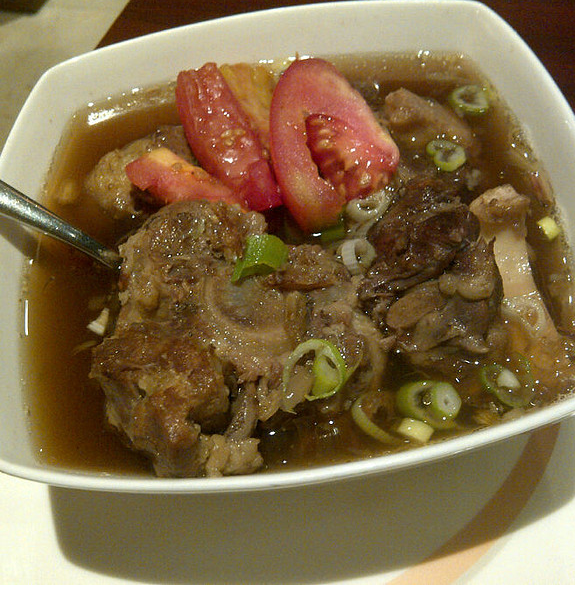 Sop Buntut is known as Oxtail Soup, a comfort food in the country. Its main ingredient is oxtail and it is cooked with herbs, spices, and vegetables to create a clear and savory soup. People like to consume it with white rice, and it is accentuated best with sambal (hot sauce typically made from a mixture of variety of chili peppers with secondary ingredients such as shrimp paste, fish sauce, garlic, ginger, shallot, scallion, palm sugar, lime juice, and rice vinegar or other vinegars). If Nasi Tumpeng is not only incredible to look at but it is heaps of fun to eat (on a big appetite)! It is unique in that it is served like a mountain in a cone-shaped rounded woven bamboo container and is surrounded by a colorful cluster of vegetables and meat. It consists of yellow uduk rice cooked with coconut milk that is compressed into the shape of the cone a colorful array of side dishes. Its impressiveness has led to it being officially recognized as Indonesia’s national dish, and it is a must-have during special occasions or events in the country. The philosophy of the dish has to do with the geography of Indonesia, especially the fertile island of Java with its volcanoes and mountains. The cone shape symbolizes the holy mountain of hyangs and the feast serves a symbol of gratitude for the abundance of harvest and other blessings. 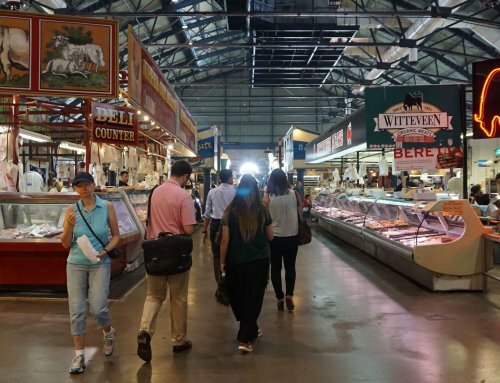 To try all these amazing dishes in one-go, book this food tour!